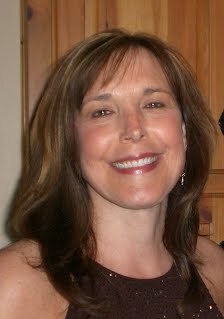 Her name was January St. Davis and she was a college student at Western Carolina University. She had interned as a medical technologist at the Centers for Disease Control and Prevention in Atlanta from June until August and had an employee identification badge that indicated as such. We speculated that perhaps this is where she had been exposed to this horrific virus. My brother Tesslar, who was an expert in both human and Vesturion technology, had been monitoring the hospitals around our location. “Rykerian, you need to see this,” he called to me one day. I made my way to the Command Center where he was running checks of hospitals. I checked his screen and saw that indeed, the medical reports showed the same symptoms that the human female originally had. “Our worst fears are coming to light,” I murmured. “Indeed,” I said. How could this have happened? “Tesslar, can you plant some directives into the homeland security and into emergency preparedness programs everywhere?” I wondered aloud. Using my Power of Speed I made short work of the stairs and burst through the bedroom door. She crouched on her knees in the corner, wide-eyed and trembling. “Fear not, we mean you no harm,” I gently said. “Liar!” she rasped, scrambling tightly into the corner. What? Why would she think me a liar? “I know not why you say such, but I am no liar. I am here to help you,” I explained gently. She looked terrified. Her large eyes were nearly popping out of her head and she held up her hand, palm facing me as if she intended to ward me off. I turned and glanced at the robomedic. “Stand down, robomedic,” I ordered. “I am programmed to contain the subject, and said subject attempted to exit the room,” the robomedic explained. Great! Just great! The bloody robomedic zapped her! “You’re so bloody right! That bloody whatever-it-is, bloody zapped me.” Every time she said bloody, she held her hands up and bent her first two fingers. Her gesture confused me. “Robomedic, alter programming. Remove containment order and stand down,” I ordered. I turned back to the female and apologized. “I am very sorry for that. We only wanted to ensure you were safe, so it was programmed to guard you. I didn’t intend for this to happen.” She cocked her head and gave me a hateful stare. She made no attempt to respond or rise as her eyes drilled into mine. “Stay away from me,” she croaked. She cringed when I reached toward her. Great day, I am frightening her! “Damned right you’re frightening me!” she exclaimed. 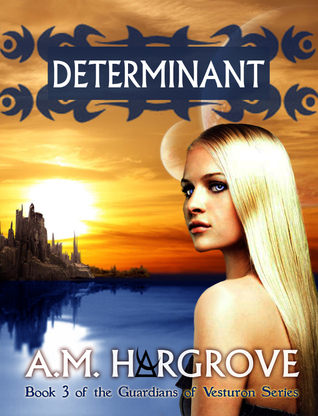 Determinant is available to purchase on Amazon now! There is one giveaway that is exclusive to Bibliophilia, Please and the other is tour-wide. Just follow the Rafflecopter instructions and you're all set. One (1) ebook from The Guardians of Vesturon (You can choose Resurrection or Determinant since Beginnings and Survival are currently free). This giveaway is open internationally, as long as you can receive ebooks. Be sure to check out the other stops (and giveaways) on the tour!